The Canon EF 400mm f/2.8L IS III and EF 600mm f/4L IS III Super Telephoto lenses were announced September 5, 2018. 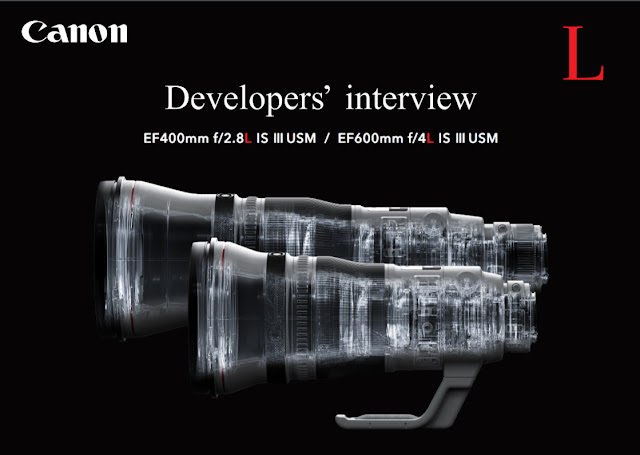 An interview with the developers of the new generation lenses was published by Canon USA. The main improvements of the new lenses are weight reduction, improved IS performance and Image Quality improvement. You can download and read the entire interview here. My readers know me as The Wildlife Ho-tographer and I have used Canon equipment for over three decades. Trying to decide which of these two lenses to add to my inventory. Leaning towards the EF 400mm Series III since it is slightly shorter and lighter.